For the past 14 years, I’ve had the honor of photographing the incredibly talented Penn State Blue Band. There's nothing quite like walking into Beaver Stadium on a beautiful autumn day and, even when the seats are empty, the place has an energy buzzing within it. Then when the over 300-piece band enters, the fun really begins! We come up with creative photo ideas and I get to experience their amazing group dynamic and teamwork—it is truly a unique and memorable time! 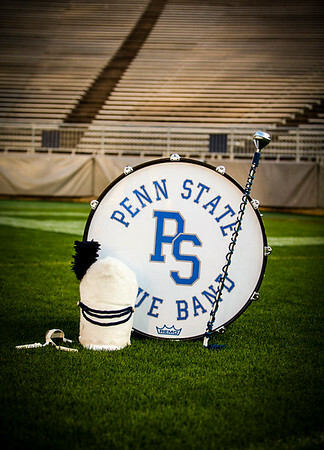 Under the direction of the extraordinarily talented Greg Drane, the Penn State Blue Band continues to be recognized as one of the nation’s top college marching bands—energizing hundreds of thousands of people each year. Hail to the Lions and the Blue Band—thank you for your dedication and all you do for Penn State! Click here to view group portraits and purchase prints.